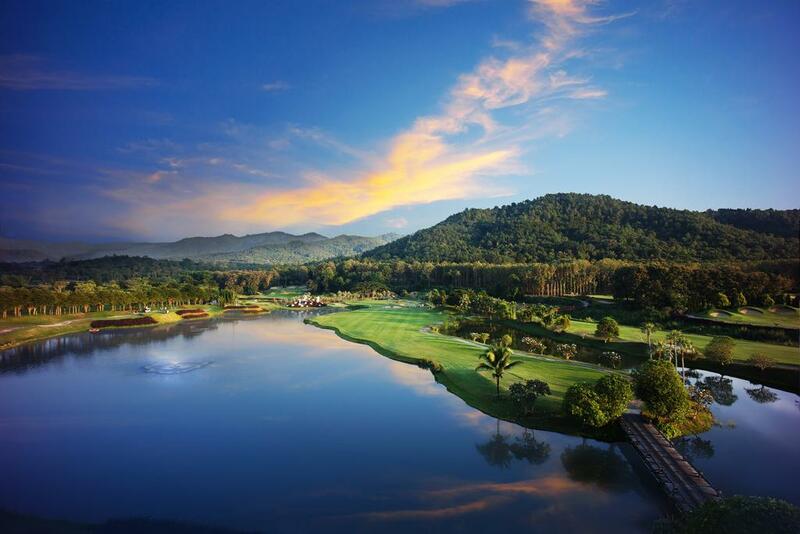 Gassan Khuntan, located next to Khuntan National Park, is one of the most beautiful and at the same time most challenging courses in all of Thailand. 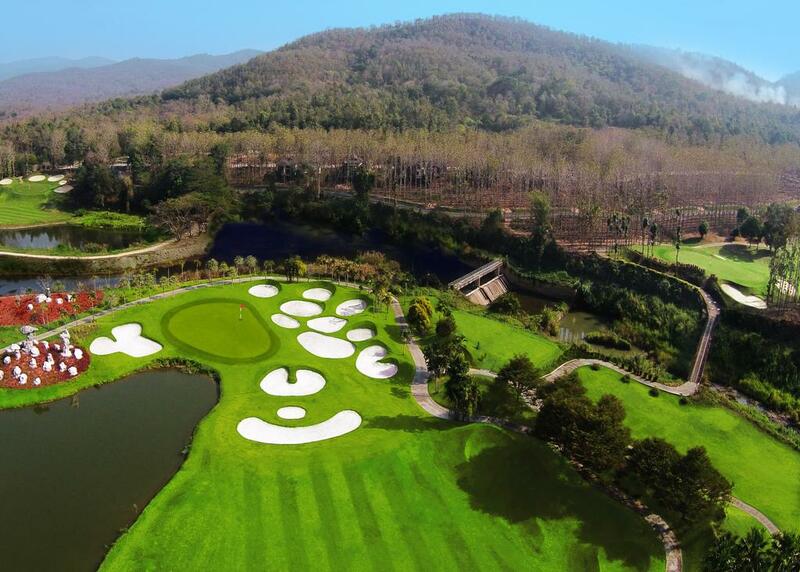 Extensive landscaping combined with stunning natural scenery creates Kodak moments on many holes. But don’t get too distracted, full concentration is needed to handle the constant barrage of challenges. 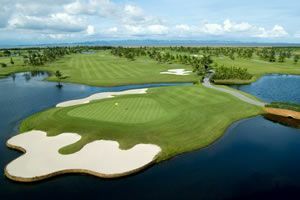 Gassan Khuntan features many sharp doglegs, island greens, water carries, and steep-edged bunkers throughout the golf course. Each obstacle can quickly wreck a scorecard. Bermuda grass fairways and ultra dwarf Bermuda greens are featured and make for well-conditioned surfaces. 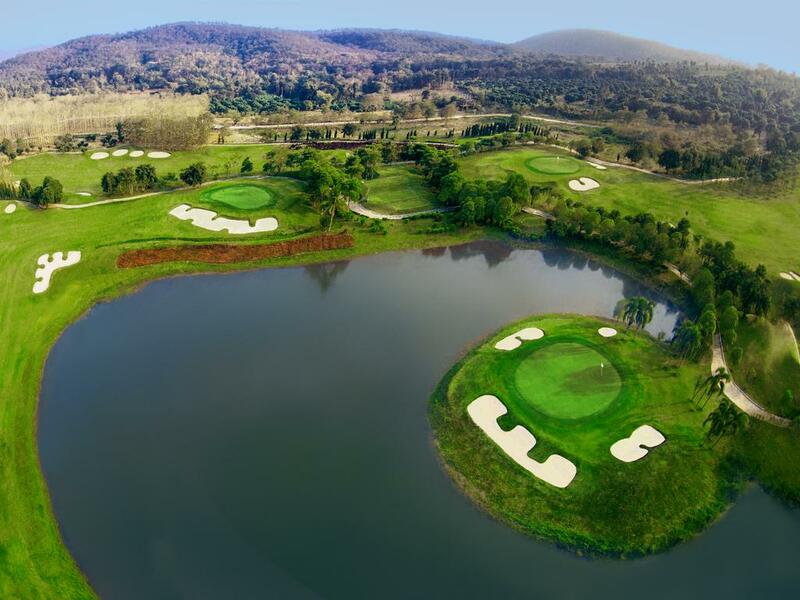 Hole 5 is an especially challenging 163 yard par-3 with a small island green. The ideal tee shot requires an accurate iron to the middle to avoid the surrounding water and greenside bunkers. Once on the green, a birdie is a good possibility. 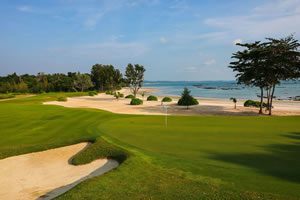 Conversely, any tee shot in the water or sand will end up with a bogey or worse. Whatever the outcome, the 360-degree scenic views are most impressive. The final hole is another standout. An accurate drive and second shot are needed to hit the narrow green in regulation and avoid the water. 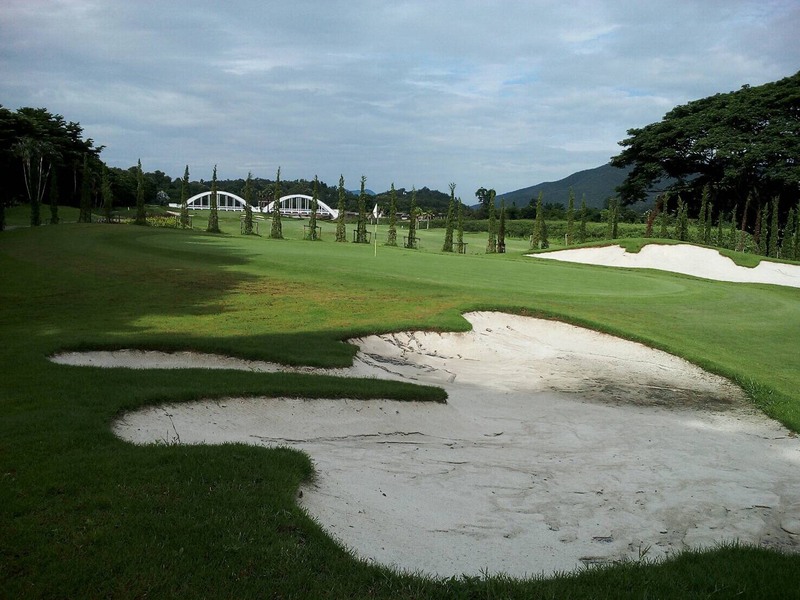 An additional nine holes opened for play in 2018. 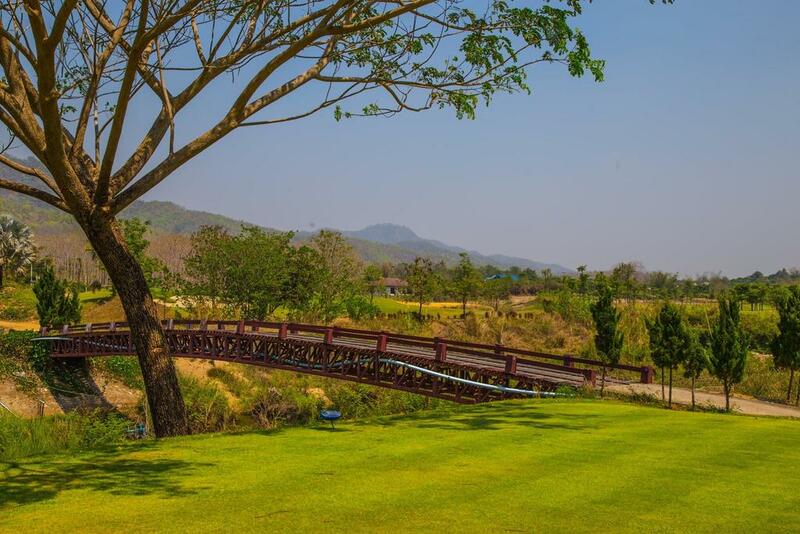 While only a par-34 the short course plays right through the State Railway of Thailand train tracks. 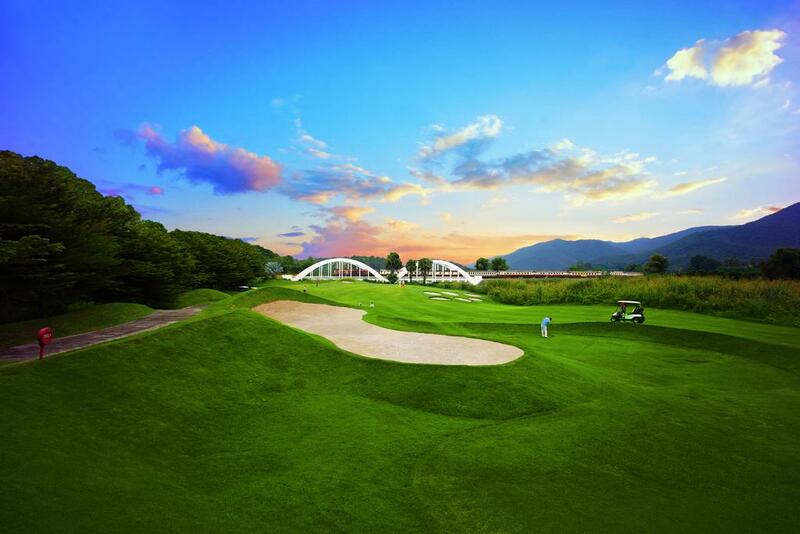 In keeping with the Gassan tradition, each hole presents the golfer with a new challenge. 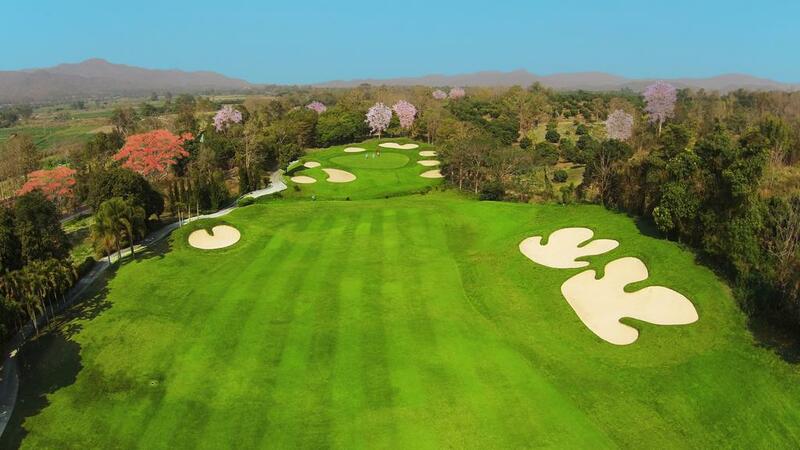 The 440-yard fifth hole is the signature for this nine as it shows off the course design work equally as well as the surrounding scenery. 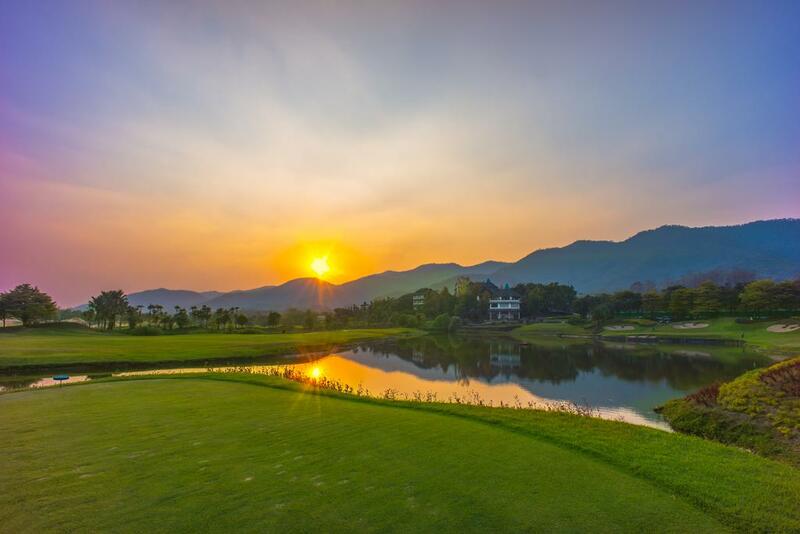 The clubhouse at Gassan Khuntan sticks out from the natural scenery. 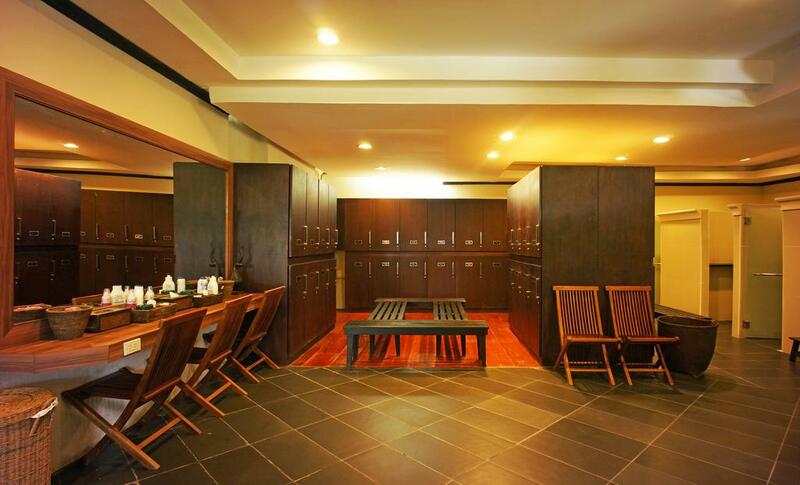 It is quite basic with smallish locker rooms, pro shop, and restaurant. 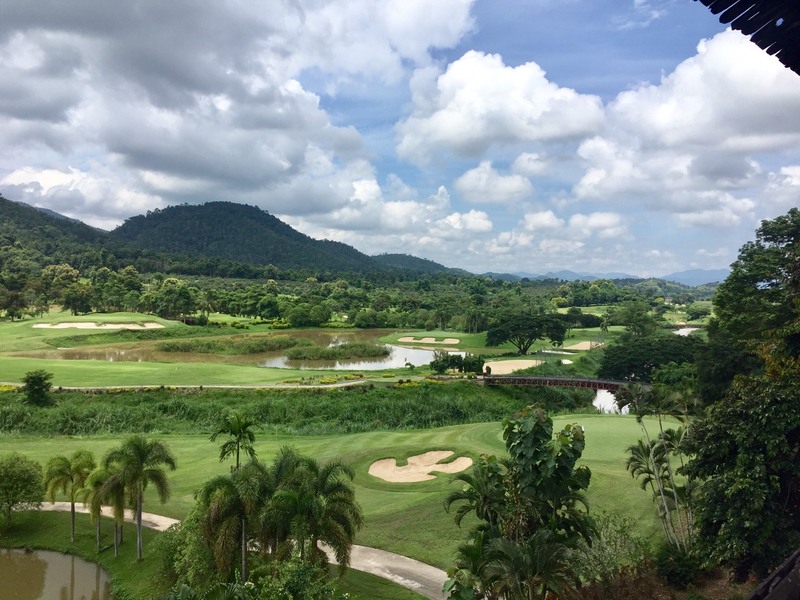 The best views are from the terrace which overlooks the course. Other Gassan facilities include chipping & putting greens, and grass driving range. 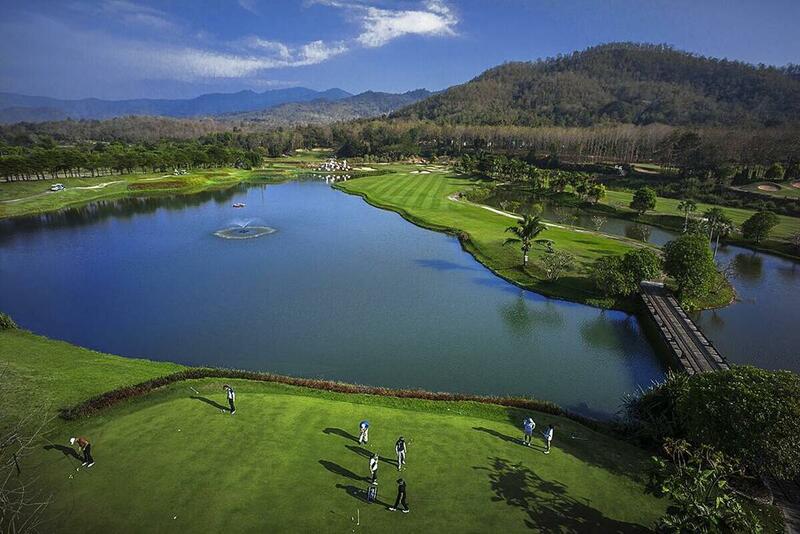 The on-site resort is best left to locals as golfers will be better going back to Chiang Mai after their round. 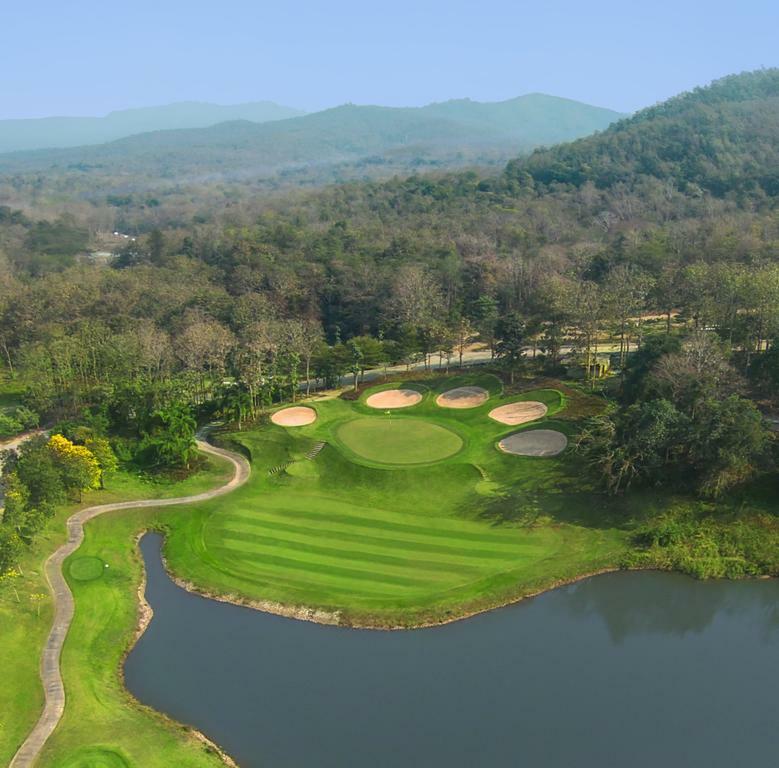 Gassan Khuntan plays well, though the layout is not for the faint-hearted as even professional golfers will find it a challenge to come anywhere close to par! 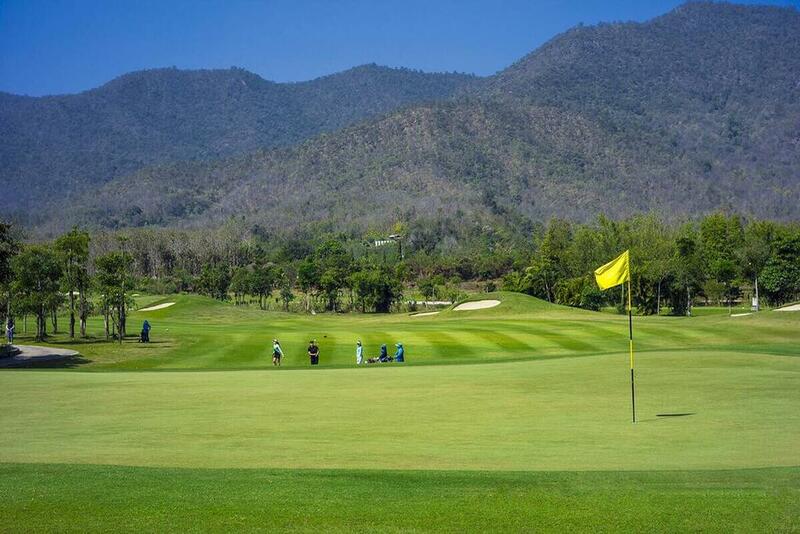 Have you played golf at the Gassan Khuntan Golf & Resort and took some nice photos that you would like to share with other golfers? Send them to us and we may upload them here. Thank you in advance! While it was very disappointing on arrival to see that the clubhouse hasn't been maintained well (which I know would be due to the lack of players i.e. 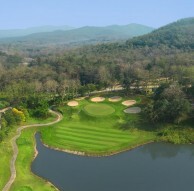 revenue through the doors) the course was the toughest Karen & I have played ithe Chiang Mai area. Our caddies were very helpful and fun to spend the day with over the four hours of character building. 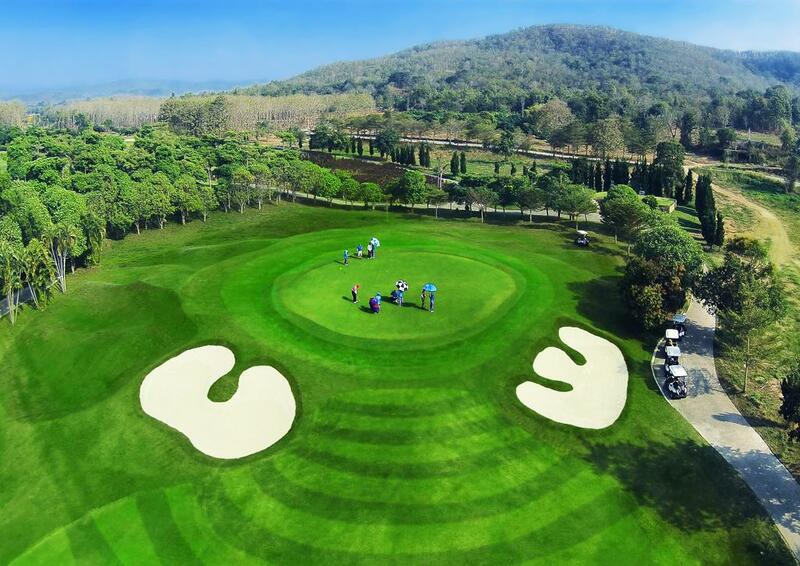 Golf tour operators need to forget about the time it takes to get to the course, talk with management about best deals and get the interest of global golfers to play this great layout. 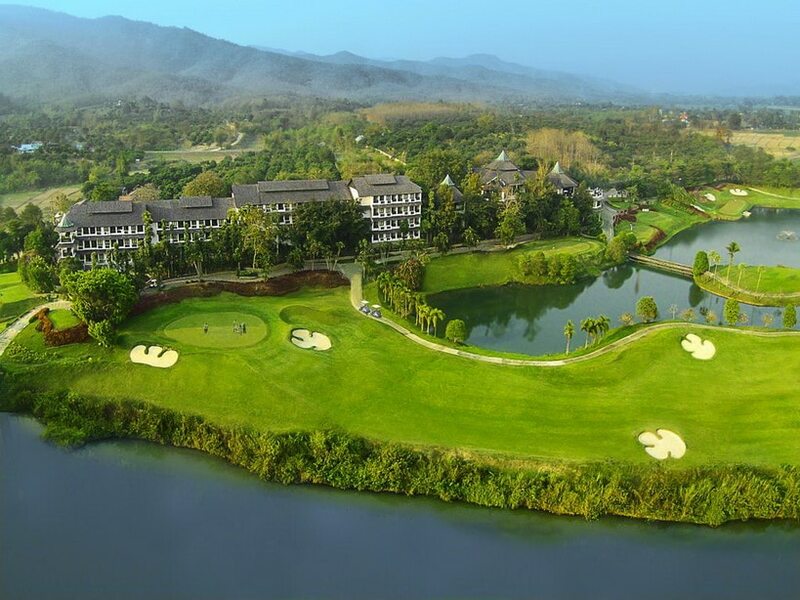 If we are back in ChiangMai again we will definitely play Gassan Khuntan rand mor importantly we'll recommend to others that they MUST play ghost course. 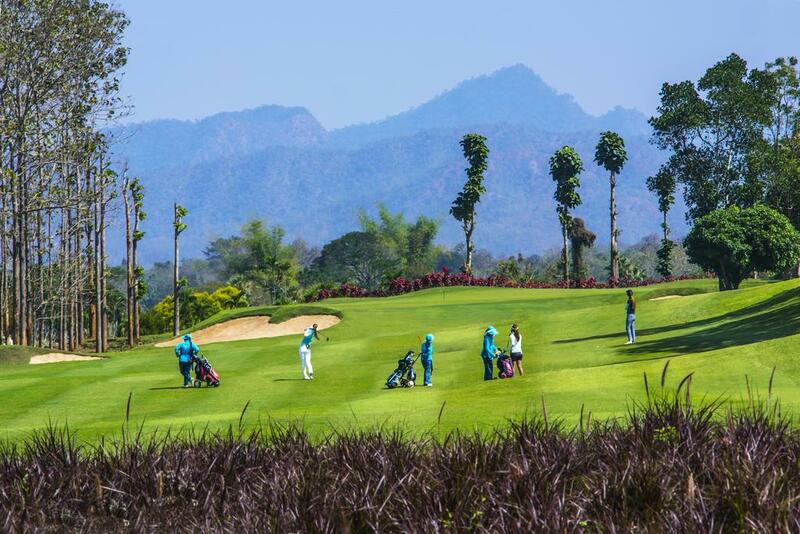 spend some money on the clubhouse and reinstate the markers around the course, just 2 quick recommendations for better business at Gassan Khuntan. Feel free to contact me at anytime for more input.